When users purchasing high-power inverter, they often facing the choice between frequency inverter and high-frequency inverter. For the purposes of inverter manufacturers, of course, they considered to be their own good. Providing frequency inverter manufacturers say high-frequency inverter stability and reliability; high frequency inverter manufacturers say high-frequency inverter to save space, relatively low cost. In fact, the frequency and high-frequency inverter in the end is better, it is difficult to generalize, and we can say advantages and disadvantages. Users should fully understand the basis of these two inverter models, based on an objective look at their applications and needs, to choose the products they need. Frequency inverter and high-frequency inverter is based on the power inverter frequency circuit design to distinguish. Frequency inverter based on traditional principles of analog circuit design, by a thyristor (SCR) rectifier, IGBT inverter, bypass and frequency step-up isolation transformer. Its operating frequency rectifiers and transformers are frequency 50Hz, as the name suggests is called frequency inverter. High frequency inverter usually consists of high frequency IGBT rectifier, battery converter, inverter and bypass. IGBT can be applied to the control gate driver to control the turn on and off, IGBT rectifier switching frequency is usually in the tens of kHz to several kHz or even up to hundreds of kHz, much higher than the frequency inverter, so called for the high-frequency inverter. 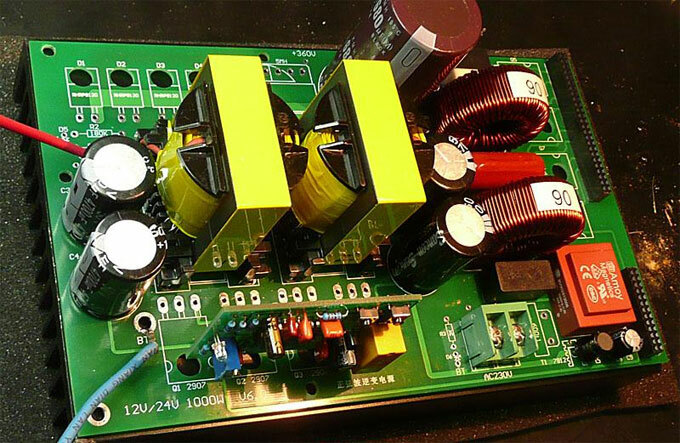 In the frequency inverter circuit, three-phase AC input main road after commutation inductance, received three SCR rectifier bridge arm composed converted into DC voltage by controlling the rectifier bridge SCR conduction angle to adjust the output DC voltage value. Because SCR semi-controlled device, the control system can control the opening point, once the SCR is turned on, even if the gate drive to undo, you cannot turn off, after which the current is zero only wait until the off naturally, so the turn-on and turn-off are based on a frequency cycle, there is no high frequency on and off control. Because SCR rectifier belong buck rectifier, so the DC bus voltage by the inverter output AC input AC voltage ratio down, to make the output voltage can be obtained with a constant voltage of 220V, the boost must be increased isolation transformer in the inverter output. In contrast, the high-frequency inverter rectifying part boost rectifier, DC bus peak output voltage than the input line voltage is high, generally typical value of about 800V, if the battery is directly attached to the bus, the required standard battery section 67 requires the number of sections, to the practical application of such great restrictions. It is generally high-frequency inverter will configure a separate battery voltage converter, the mains is normal when the battery converter bus voltage down to 800V battery voltage; mains failure or overrun, the battery pack voltage converter to rise high bus voltage to 800V. Since high frequency inverter bus voltage of about 800V, so the inverter output phase voltages can be directly reaches 220V, the inverter is no longer required after the step-up transformer. Therefore, with or without an isolation transformer is the main difference frequency and high-frequency inverter on the inverter structure. Inverter output isolation transformer can be installed electrical isolation between the input and output connections, thus effectively reducing the output of zero voltage. Since the secondary winding of the isolation transformer Y-shaped connection, generate a new zero line after neutral ground, so as to achieve the purpose of reducing zero voltage. In fact, HP, IBM, SUN minicomputers as to ensure high precision computing power and reliable data processing and transmission capabilities, for zero voltage will have very high requirements, the installation of an isolation transformer can solve because zero voltage bias some of the problems caused by high. Isolation transformer itself has inductance. Output isolation transformer can filter out a large number of low-order harmonics at the load, reduce high-frequency interference, and can make a significant attenuation of higher harmonics. Using power isolation transformer can be effectively suppressed fleeing AC noise interference, improve electromagnetic compatibility. Due to its characteristics, the inverter isolation transformer is working in the most stable device. Inverter during normal operation, if you encounter a large short-circuit current, the transformer will produce back electromotive force, delaying the impact of short-circuit current load and inverter damage, has the effect of protecting the load from the inverter host. High inverter AC/DC conversion section uses high-frequency design, to improve the inverter input power factor (0.98 or more) and an input voltage range, DC/AC inverter part of the high frequency reduces the output filter inductor volumetric power density. Since no output isolation transformer, the IGBT inverter bridge arm is short-circuit breakdown, BUS DC high voltage is applied to the load, endanger the safety of the load. Output isolation transformer has the ability to "pass DC AC resistance" can solve such problems, when inverter failure enables the safe operation of the load. Frequency inverter using thyristor (SCR) rectifiers, half a century after the technology development and innovation, has been very mature. It has very strong current impact resistance. Because SCR semi-controlled devices, does not appear straight, false triggering other faults. In contrast, high-frequency inverter uses IGBT Rectifier although higher switching frequency, but there are strict voltage, current work area when the IGBT operation, low impact resistance. Therefore, in terms of overall reliability, IGBT rectifier SCR is lower than the rectifier. 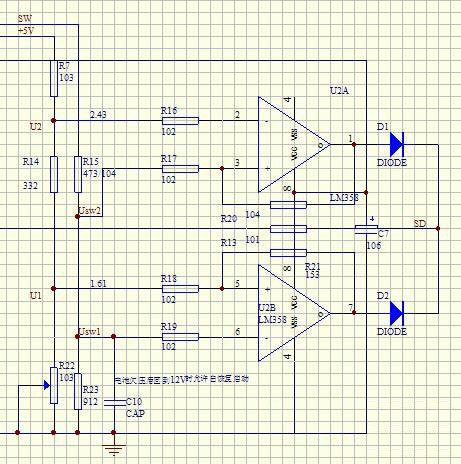 High frequency inverter is a microprocessor as the process control center, the complicated hardware programming in analog circuit microprocessor, by way of a software program to control the operation of the UPS. Thus, the size, weight and other aspects significantly reduced, noise is also small, space, the environment is small, and therefore more suitable for less demanding reliability requirements of office space. Because of this, many manufacturers of small and medium power UPS launched a universal high-frequency inverter. Three-phase power frequency inverter zero line will be introduced as a rectifier and the neutral point of the positive and negative bus, this structure would inevitably result in the rectifier and inverter coupled high-frequency harmonics above the zero line, uplifting zero voltage, resulting in zero voltage load side elevation, it is difficult to meet IBM, HP and other server manufacturers to zero voltage less than 1V venue needs. Also, when the mains and generator switching, high-frequency inverter is often due to lack of zero line must turn bypass operation, the load may cause glitches major failure in some specific conditions. 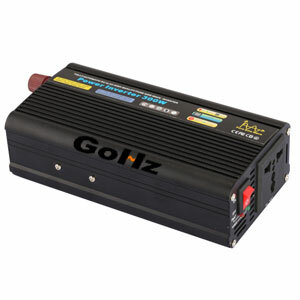 Frequency inverter because the rectifier is not required to participate in the work of the zero line, at the zero line disconnection, UPS can maintain normal power supply. Structurally, the difference between frequency inverter and high-frequency inverter is mainly in the isolation transformer. Application of isolation transformer largely increased the reliability of frequency inverter. From in terms of overall performance, advantages and disadvantages, at least at present, there will be no replacement of the two kinds. Users should base on the actual needs to purchase the equipment, rather than blindly follow. For example, a user is going to build a large data centers, the requirements for reliability and stability should come first, high-power inverter should be preferred; if it is a general office applications, or the main consideration to take up space on the device, you can use a high-frequency inverter unit.